Check out my page on Catnipand in particular, Human Uses of Catnip..
Is catnip an insect repellent? Several research projects have shown catnip is a deterrant to mosquitoes and some biting flies as well as deer ticks. Here is a link to the abstract. I have personally rubbed catnip leaves on myself to keep little biting flies from eating me alive while I was working on my boat one evening. Just the plain bruised catnip leaves was enough to completely stop the biting. The effect lasted for about 15 minutes but that was a lot better than being bitten. Not bad for just a quick rub with a handful of leaves. What is the best way to use catnip as an insect repellent? Various extracts have been tried but are not widely accessible. You are most likely to find catnip essential oil. I found it a bit pricey but it is said to work well. There are also some commercial catnip repellent now being sold. Catnip essential oil contains mostly Nepetalactone, but also citral, geraniol, citronellol, nerol, thymol and limonene, is extracted by steam distillation in commercial production. It takes a great deal of leaves to get even a small amount of oil. The process is simple. Steam is forced through large quantities of leaves and condensed. This produces mainly water with a thin layer of essential oil floating on top. This essential oil is collected, filtered and cleaned, then bottled. Because nepetalactone (and some of the other oils) are volatile, catnip will lose its effect over time unless stored in an airtight container. My repellent is a tincture, that is an alcohol extract. It is just an experiment but has been effective at keeping mosquitoes and deerflies away. I can't say for ticks because there are not enough to compare. I have not seen any ticks but is this because of the catnip or because they did not come. You will need a largish bunch of catnip stems and leaves and some alcohol. I would think that dried catnip might work well if it is not too old. The essential oil is not very permanent and old catnip looses potency. In the spring the plants are very fresh and contain more water but later in the year there is less water and more active ingredients. It works both ways but the older stems are more effective. You will need a blender, food processor or a juicer. You need to macerate the leaves into a pulp. This pulp then gets covered with alcohol, or processed in the blender or food processor with alcohol. This will give you a green mushy alcohol/catnip slush. Let it stand covered for a few minutes then strain out the pulp. I use a kitchen strainer at first, then I use a folded cloth to get the finer bits out. I squeeze out as much of the liquid as I can. When I'm done there is only a pile of damp waste. The alcohol is now very green. This green liquid goes into a tall jar. I let it sit for a couple of days to allow the rest of the suspended solids to settle out. The top greeny-grey liquid is my repellent. I put it in a handy vaporising container and use it when I need it. I sprits a few times and the alcohol evaporates leaving the catnip extract on me. I have not noticed any staining from the greenish liquid but don't put it on anything without testing. I used vodka but rubbing alcohol or any other unscented and non sweet alcohol would work. Avoid any poisonous or toxic alcohol if you can. The alcohol preserves the catnip extract so it does not need to go in the fridge. Besides being a competent bug repellent, it is mildly antibiotic and anti-fungal. As a poultice, it is said to help heal and prevent infection. An in-vitro (not clinical) research project showed that an extract of catnip was active against Staphylococcus aureus and some fungi. Here is a link to the abstract. "The effect of Nepeta cataria extract on adherence and enzyme production of Staphylococcus aureus." This is a short entry. There are no reported cases of harm done by ingesting catnip leaves. Occasionally a cat will puke and that's about it. There might be toxicity linked to the alcohol you use though. The catnip insect repellent made with alcohol was effective but I had to apply a lot and often. This is not surprising because the actual concentrations of Nepetalactone, the active ingredient of catnip, is small in a tincture. I tried distilling fresh catnip leaves to extract the essential oil. This worked very well. The insect repellent was much more effective with the oil added. I did not produce a lot of oil, there is only .03% of oil in fresh catnip, but I produced enough to add to my existing repellent and test it. It was much better at keeping mosquitoes away. 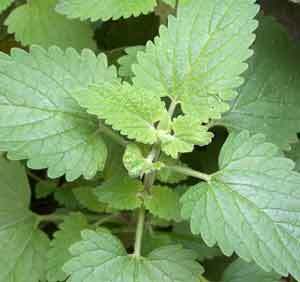 Here is a link to my experiment: Distilling fresh catnip leaves to make catnip essential oil. It was quite simple but yields were not high.